Make leaves passable! Make them climbable! Let's say you are going through a jungle. What do you do? You trudge through the underbrush, machete in hand, bashing the leaves away and forging a trail!!! ...or, in a very anticlimactic way, you hop on top of the underbrush and leisurely stroll over it. Let's say you're out of the jungle. You're in a field, and a creeper is chasing you. Quick, climb that tree! Or... feebly paw at the trunk as he blows you up. 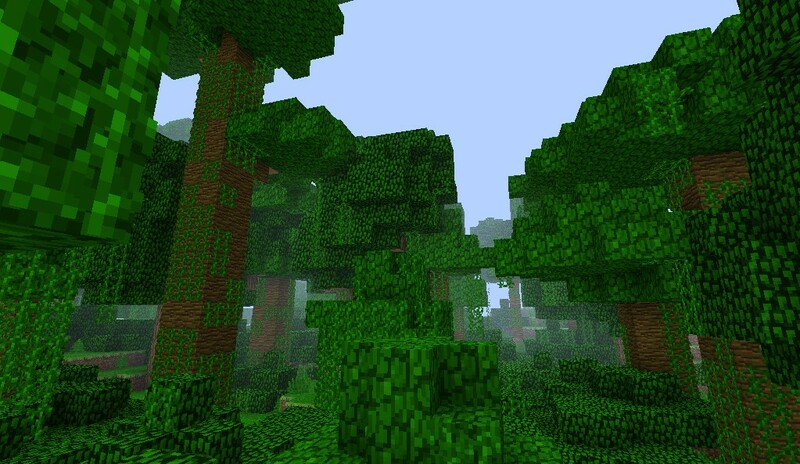 What about Minecraft's new biome, the roofed forest? Nope, just run across the top on the leaves. Like, literally, running. Crouching Tiger, Hidden Creeper. Make leaf blocks passable. The player should move through them similar to web, but not as slowing. Make leaf blocks climbable. The space-bar makes you "climb" the leaf block, moving up through it at a slow pace, though not as slow as moving through web. Make leaf blocks break falls. What could be softer than landing in a bed of leaves?? Meh, this could be abused during pvp. And it could cause issues, such as accidentially climbing trees. Isn't really a good idea for this type of game. I would support this if it was only available through cheats. 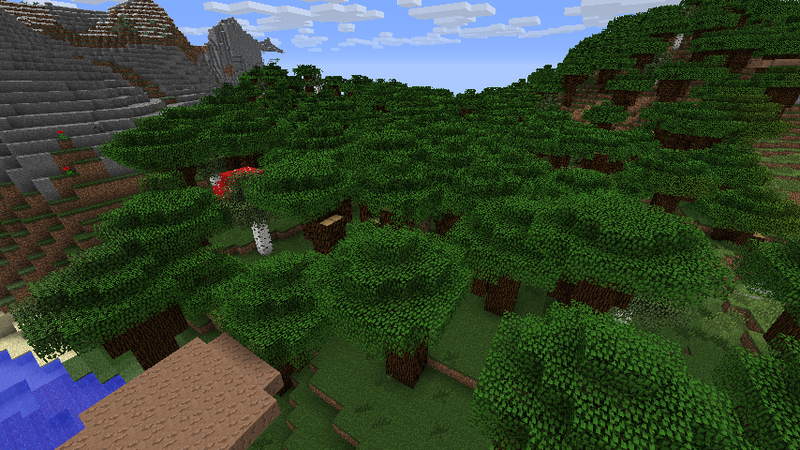 I think this would be a nice addition, though it could break some parkour maps if they use leaves. Great idea, in my opinion, nevertheless. Maybe leaves should break if you stand on them for too long? You should also be able to fall/walk through them if you are crouching. I like the idea however I don't like the idea that leaves can be "climbable". I think if leaves were passable, it would make sense as leaves themselves aren't a solid block. 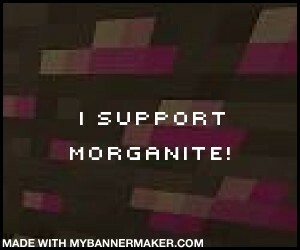 I give slight support. 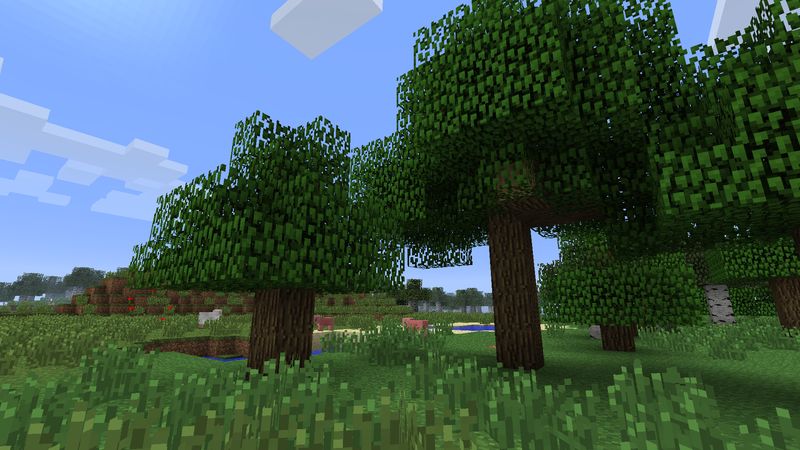 Logs should be climbable and leaves able to be walked through, plus leaves(to be more balanced) should only reduce fall damage, and if the player falls from too high up, it breaks the leaves. Location: Dont look out the window. i am now enderdash. im sorry. This is a good idea. Maybe it could be a gamerule or something that way it is an option so that certain minigames don't get messed up. They should change it so you can pass through them, but not make them climbable. Things that improve the core game shouldn't be affected by some minigame on multiplayer. I would really like for leaves to be passable at a slower speed (but still faster than walking through a web, as you stated). I don't particularly like the climbing aspect. Partial support. How would this be abused during pvp? Several people mention this... I don't understand. It certainly doesn't give advantages from one person to another. Accidentally climbing trees would not be an issue. I don't think you were reading--you would use spacebar to climb, sort of like swimming, not like walking against a ladder. Unless you're used to pointlessly hopping into leaf blocks, it's not going to be an issue. I do like this idea about them breaking. Makes it dangerous to climb leaves, and prevents players from making long-standing structures like ladders or walkways out of just leaves. But the falling I think should be automatic, like spider web but faster. That would make it more like falling speed on a ladder I suppose. Holding crouch would make you "grab" your position on the leaves and stay in place, again much like ladder mechanic. Can't people just craft ladders and climb to the top if they really wanted to? And... do we really want to throw away ideas for vanilla because they would mess up Survival Games and other particular maps? Guys, all my bases got ruined back in Alpha, when spiders gained ability to climb walls. And it's happened a hundred times since then for a myriad of other reasons? Added sprinting? Broke my map. Changed spawn mechanic? Broke my map. Changed villager breeding? Broke my map. Added ore? Broke my map. This will never end. If you want to play with old game mechanics, this is why they added the launcher and easy access to old versions. I agree with some of this, that leaves only reduce fall damage, not eliminate, and that it potentially breaks the leaves. I have this vision in my head, of a player jumping off a tall cliff in amplified map type, and landing in the treetops below. He smashes a hole through the canopy and lands on solid ground, but manages to survive. How can you say "no" to that?? Think about it this way--it would make cutting down trees much, much easier. I find that tree cutting is one of the more tedious chores in vanilla. Especially if you're in need of oak wood, and your farms keep spawning "big oaks" which are an enormous pain to see the end of. Chunks of log suspended in midair, because they were to hard to see, or more or less inaccessible because of the particular way you were cutting the tree. If you could just climb around the big oak, collecting the logs while hanging from the branches, it would make the process so much easier. You know those spruce trees that grow *slightly* higher than you can reach from the ground? Much, much easier to handle now.